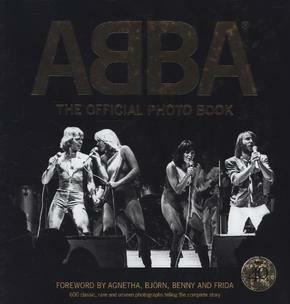 This is the Authorized Official photo book on ABBA, one of the greatest pop groups of the 20th century. The group has sold a stunning 375 million records and in some markets, the United Kingdom for example, they have sold more records than the Beatles. This 400-page large format book - in the format of a classic LP - contains more than 600 pictures, many never published before. All the classic images are included but also previously unseen pictures by top professional photographers. The book covers not only the stunning career of the group but also tells the story of the four members before ABBA - and what happened after the group broke up, including the international success of the musicals Chess and Mamma Mia. ABBA won the Eurovision Song Contest in Brighton on April 6, 1974, and the book is being launched in the spring of 2014 as a celebration of that international breakthrough.